Hi there! My name is Payton Steffensen, and I am a 16-year-old from Yankton, SD. In 2017, my family received a car during the Thanksgiving season. Schedules were crazy as any family’s are. I have two younger siblings, Briley (12) and Jensen (7), and I was a busy sophomore in high school at the time. Between school, practices, concerts, competitions, and other events, we were plagued with a transportation issue. Being a financially struggling single-parent led household, plans of getting my first car weren’t remotely in the picture, and this event was such a blessing. By having another car, we were able to not only accomplish what was needed, but succeed and thrive. Ever since my family received the gift of that car, I knew I wanted to give back to the community that supported my family and I in a difficult time. Now, almost two years after that wonderful day, I am attempting to pay it forward, and help another family in need! 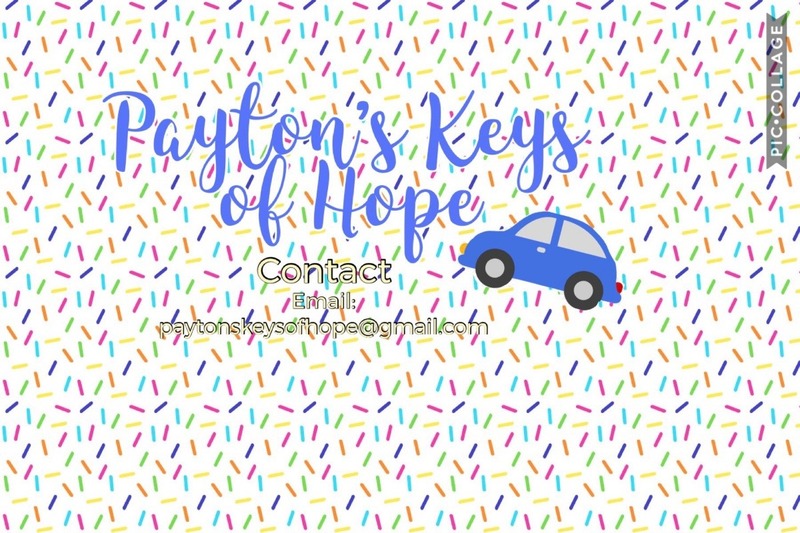 The goal of Payton’s Keys of Hope is to give away a refurbished car to a single-parent family in the Yankton area, in hopes of making a family’s daily life a little easier. Speaking from experience, one of the most important components in being successful, especially in a single-parent led household, is a reliable form of transportation. With this giveaway, I hope to give a special family security in that they will be able to provide and get to and from work, school, and events easily. With your support, I will be one step closer to giving a family the gift of a lifetime. With Payton’s Keys of Hope, in partnership with proud sponsors, you can help a deserving, local family by monetary donations, vehicle donations, or gift baskets. Be sure to stay tuned and follow our Facebook page, Payton´s Keys of Hope, for giveaways and silent auctions!